Sefiani Communication Group’s consumer and challenger brand agency Kite Communications won the Boutique Agency of the Year category at CommsCon, Australia’s leading awards ceremony for the public relations and communications profession. 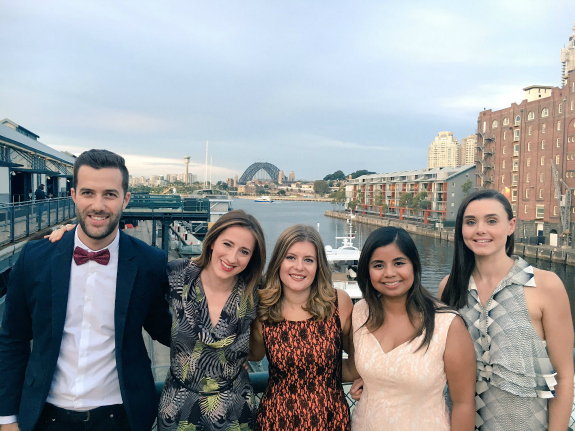 The Kite team was thrilled to win the hotly contested category at the gala Awards Dinner at Doltone House in Pyrmont last week. The CommsCon judges specifically commented on Kite’s stellar client testimonials, the team’s passion for their work and their outstanding results creating real impact for clients, as well as senior management involvement in guiding successful outcomes for both clients and the agency. Group Managing Director Robyn Sefiani said: “It’s been an exciting journey for the past two years, with great clients and a talented team continuing to produce great results together. Kite’s win comes as the agency enhances its range of services with the recent addition of a dedicated Digital and Social offering.